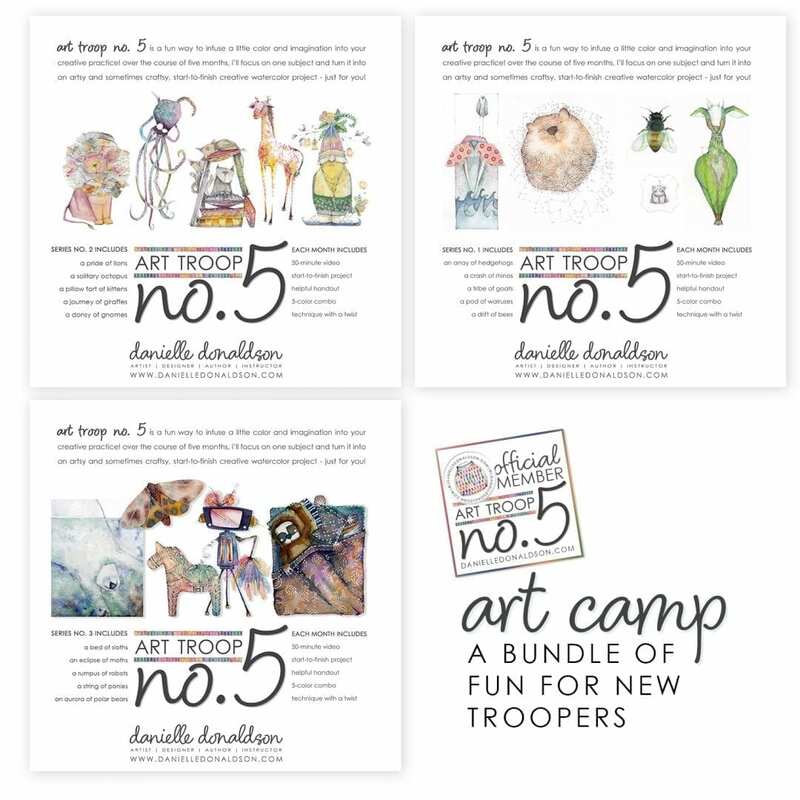 art camp is a great way to spend the summer catching up to the rest of my art troopers to prepare for series no. 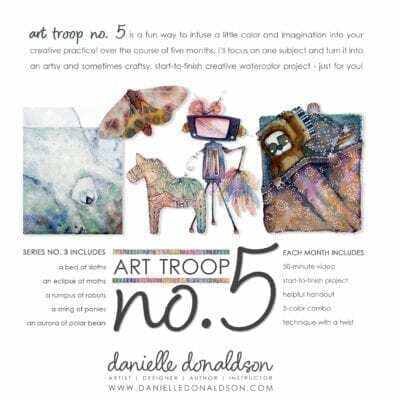 3 – which begins on August 5, 2018. art troop no. 5 is a fun way to infuse a little color and imagination into your creative practice! over the course of five months, i’ll focus on one subject and turn it into an artsy and sometimes craftsy, start-to-finish creative watercolor project – just for you! and if you are in one of them already, share this opportunity with your fellow artists! IMPORTANT NOTE | Once you purchase this product, you’ll be added to all three courses and will receive a separate welcome message for each in your in-box! please allow up to 24 hours for your order to be processed and to be added to the courses.